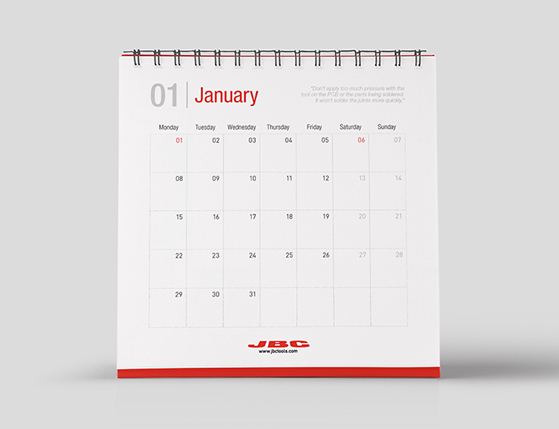 Lower than expected temperatures may lead to longer dwell times and poor heat transfer, resulting in decreased productivity and poor quality solder connections. 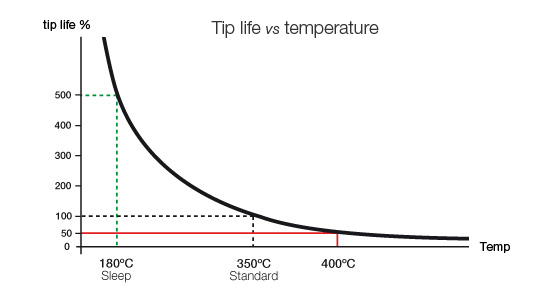 TIA-A Thermometer: This is a practical thermometer which gives an accurate reading of tip temperature by means of the STA-A sensor (Type E Thermocouple). It also reads it in sleep mode. When you are measuring, it is necessary to apply solder to the center of the sensor where it is a reinforced to ensure its durability. TID-A Digital Thermometer: This high precision thermometer provides quick response readings. It only works with the STD-A Sensor (Type K Thermocouple). Using the digital display you can easily change the temperature scale (°C/°F). It also provides Special Features such as Min/Max value memory, Offset or Scale adjustment and Hold function which retains the current measurement. PH218 Thermocouple Type K: it reads the temperature at a specific point on the PCB. It helps you manage the profiles when used with the Preheaters. We recommend to use Kapton tape to fix the thermocouple securely to the PCB. 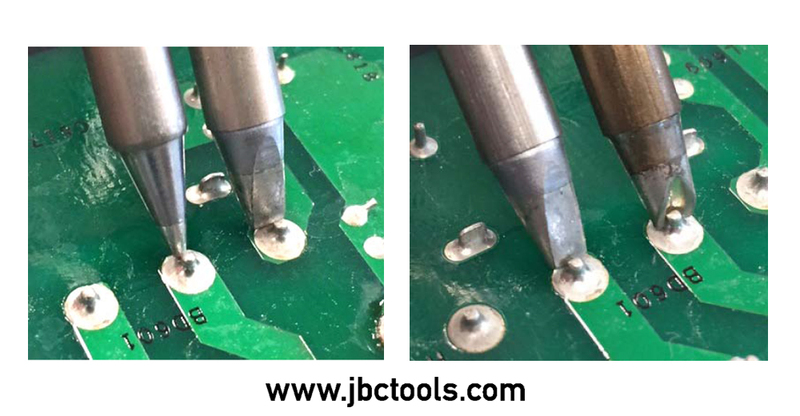 Moreover, JBC develops geometries that increase the heat transfer besides a simple selection of size of common tips such as conical or chisel. In the second photograph you can see how the grooved tip adapts perfectly to pin and pad maximizing the thermal transfer. It’s important to use the correct size tip for the job in hand, Metcal recommends one that is about the same size as the object being soldered, to avoid damage. – Work at lower temperatures (350ºC). – Obtain faster results in less time. – Reduce collateral damage (thermal stress on components and PCBs). Home > Posts > What is the correct temperature for soldering?